Chicago is a large city with a huge geography. 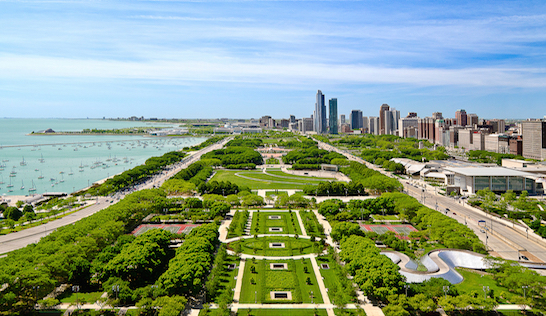 Business travelers might end up close to O’Hare Airport, or in some of the business areas/industrial parks north an west of the city. 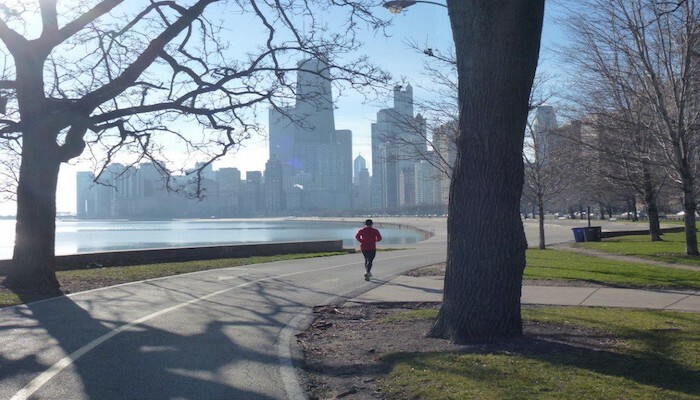 Some other recommended areas for runners outside the city. See maps and guides, on the right. DesPlaines River Trail/Schiller Woods, in Rosemont. Access off East River Rd. or Cumberland. There are miles of trails along the DesPlaines River. The South Section is closer to Rosemont/Airport. The entire trail is nearly 28 miles. It is 14.3 miles from southern section of Lake Cook Rd. in Wheeling to Rt. 137 in Libertyville. It is then 13.4 miles north from Rt. 137 to Russel Rd. near the Illinois-Wisconsin state line. Busse Woods. Schaumberg/Arlington Heights. 3,700 acres featuring forest, lakes, and meadows. 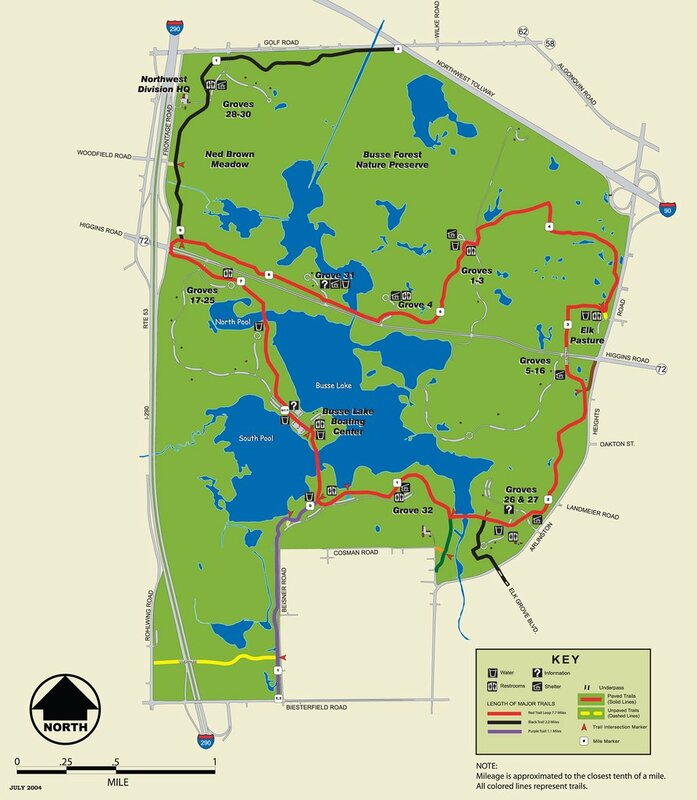 11 miles of trails, including an 8-mile loop trail. Paved. 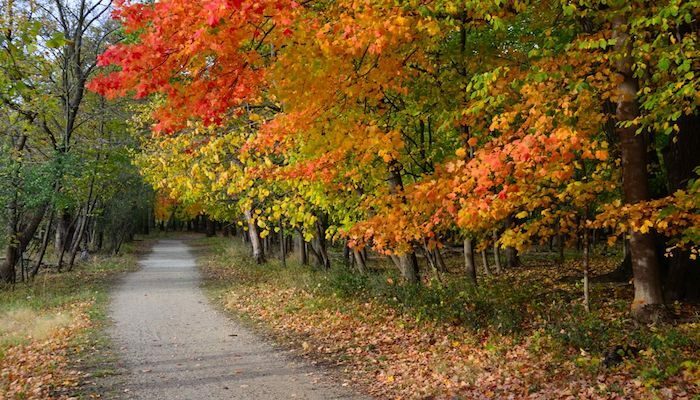 Access at numerous forest preserve entrances and locations, many off of Route 72, Higgins Road, or at the Elk Herd off of Arlington Heights road. Paul Douglas Forest Preserve. 1800 acre preserve, with 7.5 paved loop trail. Poplar Creek. Various options, including paved 8.9 mile loop (red trail). Or, combine unpaved brown and yellow trail for 6.3 miles. Some modest hills.